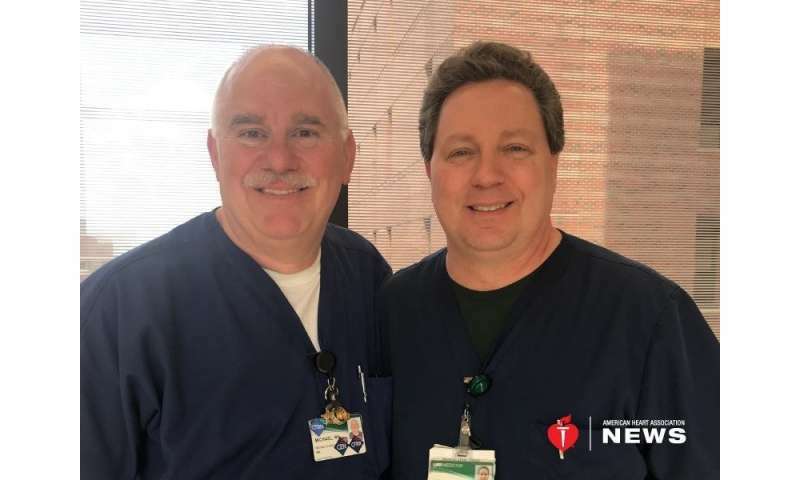 Nurse Michael Lovelace has been training his colleagues in high-quality CPR for more than three decades, including the past 16 years in the emergency department of the University of Alabama at Birmingham Hospital. For Lovelace, teaching CPR meant knowing his words could potentially save a life. He never imagined that life would be his own. But when Lovelace had a massive heart attack that triggered a cardiac arrest last April while at work, it was the training he provided his colleagues, who jumped in and performed CPR, that kept him alive. Each year in the United States, more than 200,000 hospitalized patients experience a cardiac arrest. Only about one in four of those patients survives. Studies show that timely delivery of CPR done the right way plays the biggest role in survival. On that April day, while walking from his office to the UAB classroom where he teaches his Advanced Cardiovascular Life Support class, Lovelace, then 53, began to have a hard time breathing. He was also sweating profusely. At the time, Lovelace was taking medication to control an irregular heart rhythm called atrial fibrillation, which increases the risk for stroke and heart failure. Even so, he said, "I figured I was just overweight and out of shape and [so I] sat under the air conditioning thinking it would go away." Instead, the symptoms worsened. Lovelace drove himself to the emergency department four blocks away, walked directly to the trauma area and asked a colleague to do an electrocardiogram to check his heart. The test showed Lovelace was having a massive heart attack and he was immediately sent to the hospital's cardiac catheterization lab. Thinking he was going to die, he began frantically telling his passwords and lock combinations to a fellow nurse. He then prayed with the hospital chaplain. Moments later, Lovelace went into cardiac arrest. That's when the colleagues he had helped train in CPR sprang into action. "They broke 11 ribs, but it was good CPR because I'm here to tell the story," he said. All medical professionals are trained in CPR. However, studies have found that CPR skills can decline after three to six months. Studies have also shown that hospitals see better patient outcomes when they provide hospital staff with more frequent and shorter CPR practice sessions instead of one long refresher training session every two years. To provide this type of training, the American Heart Association introduced the Resuscitation Quality Improvement program in 2015. The program provides mobile simulation stations that offer realistic patient scenarios that allow health care providers to refresh their skills in 10 minutes. 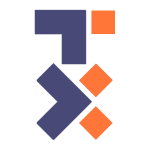 More than 400 U.S. hospitals have implemented the program so far. UAB Hospital currently uses the RQI program in its emergency department. Lovelace said plans are underway to expand the program to other hospital departments. "People tell me they feel more confident and more competent with their skills because they're training in them every 90 days rather than once every two years," he said. It took 18 minutes of CPR and four shocks with a defibrillator for Lovelace's heart to return to a normal rhythm. The medical team then inserted two stents to reopen his blocked right coronary artery. The whole episode, from when he began experiencing symptoms to when he got his stents, was less than an hour. After two months of cardiac rehab, Lovelace was able to return to work. Ken Harris, a critical care nurse, was part of the medical team that saved Lovelace. The two have been friends for eight years. Harris held Lovelace's hand as he underwent the stent procedure, a gesture Lovelace told him "meant a lot because he knew he wasn't alone and someone was there who cared." "There's no doubt that high-quality CPR played a huge role with Mike," said Harris. "CPR requires knowledge and skill." It's also necessary to "build muscle memory that you can rely on in an emergency situation." Lovelace, now 55, said his heart attack and subsequent cardiac arrest spurred him to make big changes in his life. He's shed more than 60 pounds, eats a heart-healthy diet and tries to minimize his stress. His experience has also influenced his teaching. He often presents his own cardiac arrest as a case study, only revealing at the end of class that he was the patient who survived. "Patients do die, but I'm proof that if you do high-quality CPR, you have a much better chance at a successful outcome," Lovelace said. "I'm thankful for every day, because every day is a day I wouldn't have had if my colleagues didn't do what they did."